Turkey’s banking authority BDDK said total banking assets increased 7.3% since the end of 2016, reaching a total of $826 billion. Turkey’s banks, underpinned by effective regulation, have been key players in the nation’s strong economic growth over the past decade—and are arguably its biggest success story. This shows little sign of abating heading into 2018. In June, Turkey’s banking authority, the BDDK (Bankacılık Düzenleme ve Denetleme Kurumu), said total assets had increased 7.3%, or TRL200 billion (US$56 billion), since the end of 2016, reaching a total of TRL2.93 trillion ($826 billion). Other indicators tell a similar story: Capital adequacy for the first five months of 2017 was 16.7%, while non-performing loans (NPLs) averaged 3.2%. The controversial TRL250 billion Credit Guarantee Fund (CGF), whereby banks are encouraged to lend to small and midsized enterprises (SMEs) by having some 85-90% of the loan covered by the government, has buoyed the sector, with return on equity in the first half of 2017 increasing 16.5%, up from 13.2% ROE in the first half of 2016. “While banks still easily roll over their external debt, albeit at a slower pace, the negative impact of the rating downgrade has not been too severe, thanks to government’s easing of regulations. Net profit has grown by 33.2% in the first half compared to the same period last year,” says Huseyin Ozkaya, CEO of Odeabank. Some are wary. In January, Moody’s predicted NPLs would rise above 4% this year. And Capital Economics, pointing out that the expansion of private-sector credit has been greater than in any other emerging market except China, has suggested that a deterioration in lending standards and a rise in NPLs is almost inevitable. Others are more measured, such as Lindsey Liddell, a director of the financial institutions team at Fitch Ratings. A combination of factors, including last year’s lira devaluation and an uptick in foreign currency funding costs, suggest a squeeze on bank margins, she explains, additionally warning that low headline NPL figures tell only part of the story. “Although the lira has stabilized since last year, the high level of foreign currency dependence is something to watch, as are the Group Two loans (watch-list loans), where asset quality isn’t so high and which could migrate to NPLs at some point,” she warns, pointing out that the SME sector—where most of these loans have been made—is one of the most volatile in a weakening economy. She further warns that it is important to keep an eye on the amount Turkish banks owe to international wholesale markets, with some $60-65 billion due by June 2018. “One should look at this on a bank-by-bank basis to be confident as to whether individual banks are properly placed to meet all their liabilities,” she says. International financial institutions (IFIs) are clearly aware of the risk: In July, EBRD announced a new TRL6 million investment in the three-year local currency unsecured bond issuance by Hayat Varlik, the largest NPL management company, recognizing the risks posed by NPLs to banks, companies and the wider economy. 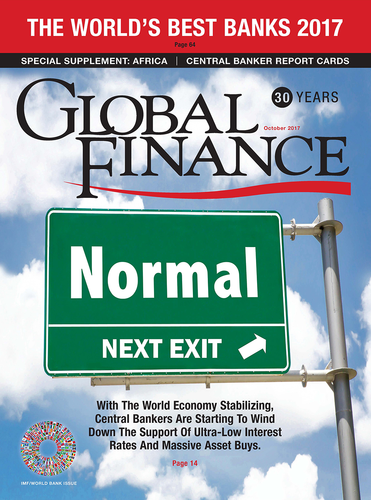 For the sector as a whole going forward, Ozkaya says it is vital that once the CGF is exhausted, banks successfully—and carefully—identify high growth sectors and companies to maintain loan-growth momentum. “Low penetration levels still provide room for growth in the long term,” he concludes.